Let these quotes by Joseph Addison help you to have a positive attitude toward life, and to think positively. and therefore it is no wonder they are easily dissolved. It is only imperfection that complains of what is imperfect. become towards the defects of others. but I would fain see posterity do something for us. is the glory of man. from all other creatures by the faculty of laughter. He has a heart capable of mirth, and naturally disposed to it. a constant and assiduous Culture. pangs and fury of despair. nor demolished by the force of armies. as presents to the posterity of those who are yet unborn. and yet what other motive can make a father cruel? is to know that he knows nothing. is inflicted by the perversion and exorbitance of legal authority. who keep their own accounts. is the greatest weakness of human nature. for therein lies the secret of immortality. that those whom he injures are always in his sight. which partakes not of the vivacity of amusement. but what will render his life happy on the whole amount. affronts; old age is slow in both. of heaven we have hear below. 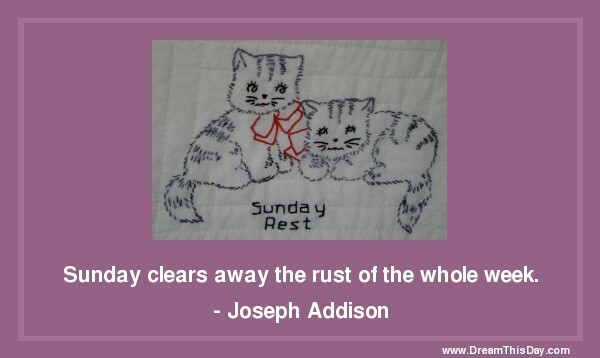 Thank you for visiting: Joseph Addison Quotes - Positive Quotes by Joseph Addison.